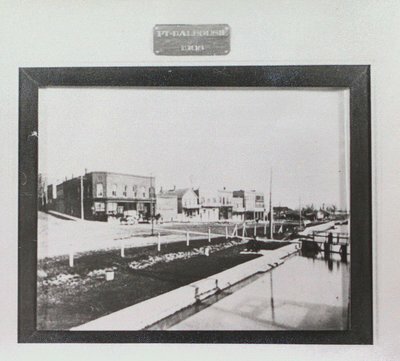 A photo reproduction of Lock One of the Old Welland Canal (Second) and Front Street in Port Dalhousie, St. Catharines, Ontario. The Austin House (now Murphy's, 1990s) is on the left. c1905.